Affording adoption is a huge challenge for many hopeful families. Many families need at least some help to afford the $15,000 to $50,000 agency fees, attorney fees, birth mother expenses, travel expenses, and other related costs. If you already work at a company that offers adoption benefits then requesting these benefits is probably the easiest way to decrease your out-of-pocket expenses. Review the top 100 adoption-friendly workplaces from The Dave Thomas Foundation for Adoption to see if your company is on it. If you do not see your company listed, ask your human resources or benefits department whether they offer adoption benefits. Just because your company is not on the Dave Thomas list does not mean they do not offer anything. If they do not provide adoption benefits consider using the free toolkit provided by The Dave Thomas Foundation for Adoption to propose to your employer the idea of adding adoption benefits. Your efforts may not help you today, but they may benefit others in the future (and you if you adopt again). Adoption benefits are inexpensive for companies because few employees will use them, but they go a long way in communicating that the company is family-friendly. Your prodding could make the difference. Families have come up with some incredibly creative fundraiser ideas to help them afford the high cost of adoption. In a previous post about how to afford infertility (and adoption) we wrote about a family who collected donations through a personal adoption blog and another who held a wine tasting fundraiser. Other families hold garage sales to make extra money. One Hundred Good Wishes is an organization that helps you collect donations from friends and family. If you have an approved home study you can set up a free One Hundred Good Wishes page to raise financial support for your adoption. Those who visit your page can leave a good wish message and make a donation directly to your PayPal account. Want more ideas? Use your favorite search engine to search on “fundraiser ideas.” There are plenty of resources out there with great ideas and help with implementation. A Child Waits Foundation’s Grant Program is specifically designed to help older children and children with special needs who are still living in international orphanages to become part of a family. The Gift of Adoption Fund provides grants to those with an approved and current home study from a licensed and accredited adoption agency. The number of biological children or adopted children in the home does not impact eligibility. 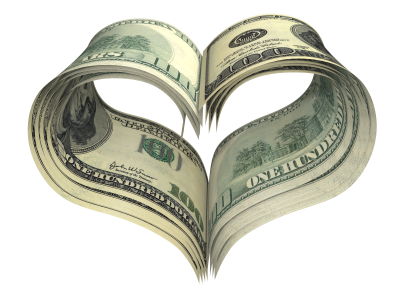 Grants are awarded regardless of religion, race, age, marital status, or sexual orientation. God’s Grace Adoption is a non-profit organization dedicated to helping place orphaned children of the world into Christian families. God’s Grace Adoption Ministry works in cooperation with an adoption agency to assist with the family’s financial needs. HelpUsAdopt.org is a national non-profit financial assistance grant program providing qualified couples and individuals (regardless of race, ethnicity, marital status, gender, religion, sexual orientation, or disability) with grants toward their domestic, international, foster, or special needs adoption expenses. Grants are awarded twice a year in June and December and families must be able to demonstrate financial need. His Kids Too! has an interesting fundraiser/grant program for families adopting internationally so the families’ personal network can assist them financially with adoption costs. This grant program is set up so donors make tax-deductible donations to His Kids Too! and then families may apply for a grant for the funds generated by donors. It is important to note that all funds generated become the property of His Kids Too! and the organization does not guarantee that all funds received will benefit any particular family’s personal adoption expenses. The National Adoption Foundation offers grants that are open to all legal adoptions including public or private agency adoptions, international, special needs or adoptions facilitated by an attorney. There is no income requirement. Parenthood for Me is a wonderful non-profit organization that offers grants for both adoption and medical intervention. Their first grants totaling $12,000 went to 4 families in July 2010. This is a new organization, but their early success will hopefully only result in even more money becoming available for hopeful families. Resources4Adoption is run by an adoptive parent who did tons of research on grants and loans while she was going through the adoption process. She was frustrated by the lack of up-to-date and consolidated information so she has taken it upon herself to help you make sense of your options. Shaohannah’s Hope provides grants to families adopting orphans. Funding priority is based on need. ABBA Fund provides interest-free loans for Christian couples who are adopting. A Child Waits Foundation provides low interest adoption loans for families who have exhausted other financial options and cannot proceed with their adoption without their help. This is for families adopting internationally only. International Association of Hebrew Free Loans offers interest-free loans to people of any religious background. You can contact a local office for details about adoption-related loans. Oxford Adoption Foundation was formed to help families adopt internationally by providing low interest loans to assist with the expenses associated with the international adoption process. Military adoption benefits are available for service members who adopt a child under 18 years of age. Service members may be reimbursed for qualified adoption expenses up to $2,000 per adoptive child (up to a total of $5,000 if more than one child is adopted) per calendar year. Section 23 of the United States Internal Revenue code offers a credit for “qualified adoption expenses” paid or incurred by individual taxpayers. Qualified expenses include: adoption fees, court costs, attorney fees, traveling expenses (including amounts spent for meals and lodging while away from home), and other expenses directly related to and for which the principal purpose is the legal adoption of an eligible child. Talk to a tax professional to learn more. Airlines: Whether you are adopting domestically or internationally, you may have to make one or more trips that require airfare. Some airlines offer adoption rates for travel related to adoption. Banks: Local, hometown banks may work hard to help families in the community. Tell them what you are doing and see what happens. Religious Organizations: Some religious organizations have the ability to help defray some adoption costs.